Looking for an affordable shipping container Phoenix delivered right to your door? 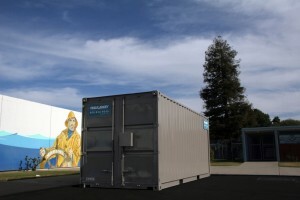 Haulaway Storage Containers is your temporary storage solution center. We offer high quality, durable, spacious shipping and storage containers for rent and purchase. All of our storage containers are delivered right to your jobsite and placed exactly where you need them. And when you are done, we offer quick pick-up to keep your work area clear. Haulaway also offers roll off and Conex containers for sale, for your shipping and permanent site storage needs. Whether you choose rental or purchase, our extensive product line and responsive customer service cannot be beat. Temporary storage is a great solution for projects of all sizes. It is often necessary to perform renovations in a structure while it is partially, or even fully, occupied. Trying to live or conduct business in a work zone is difficult, but our storage solutions can help. Haulaway offers convenient on-site storage perfect for stowing tools and construction materials at the end of the work day. In addition, valuable items such as furniture and electronics can be damaged by dust and debris from the construction area. Storing these items temporarily protects them and keeps the work area as clear and uncluttered as possible. On-site temporary storage minimizes costs and damage in transport, and keeps items accessible if you need them. Get a shipping container in the Phoenix area, even on short notice, from the two Haulaway Storage Containers Arizona locations. We maintain locations throughout the Western United States, including a Phoenix location at 3515 East Illini Street. We also have a location just three hours away in Yuma, which allows us to maintain extensive inventory. Whatever your project requirements and timeline, one call to Haulaway will get it done. Contact us today to discuss your project and how we can help make it successful. Call us or use our convenient online chat feature. We even offer quick quotes with a convenient website form.